Bitstamp - How to create API key? 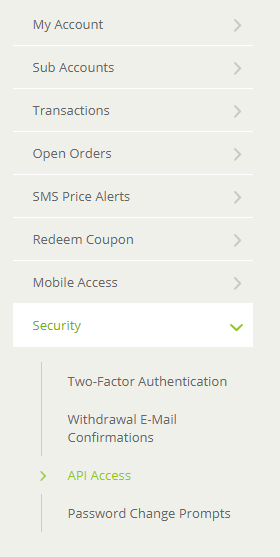 2 - Select Account from the menu in the upper right. 3 - Click on Security and API Access. 4 - Click on New API Key. 5 - A form like this will appear. 6 - Set permissions as it is done below to allow our bot to trade for you. 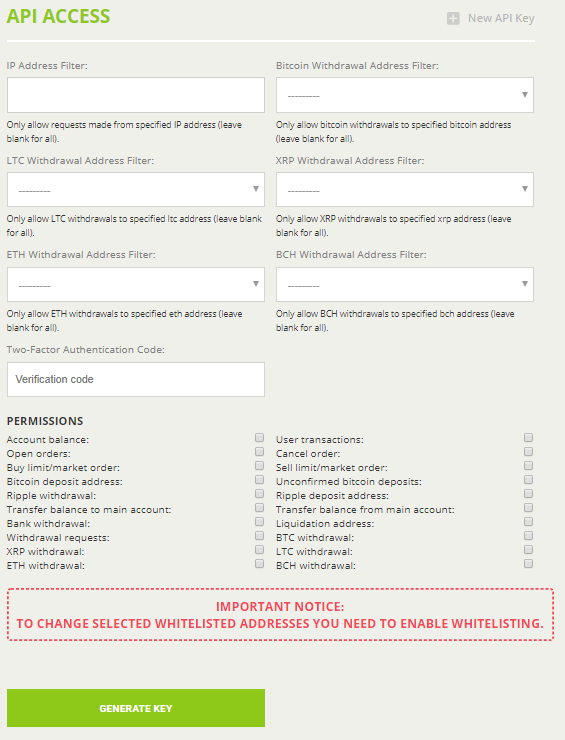 Do not click on any Withdrawal you are the only one who has to be able to withdraw your funds. 7 - Click on GENERATE KEY. 8 - Click on ACTIVATE. 9 - An email from Bitstamp will be sent to your mailbox, confirm activation. 9 - API is created, keep your Secret key in a safe place.